Naughts & Cross stitches: Framed Finish! Well I finally got it back from the framer and it is stunning! We spent ages searching for the right frame. I first thought I wanted a wood frame but they were all too heavy. In the end we found this gold and silver gilt frame. Here is a photo with flash better colours. I love the job they did and they fixed their first mistake without a complaint. So happy with it. 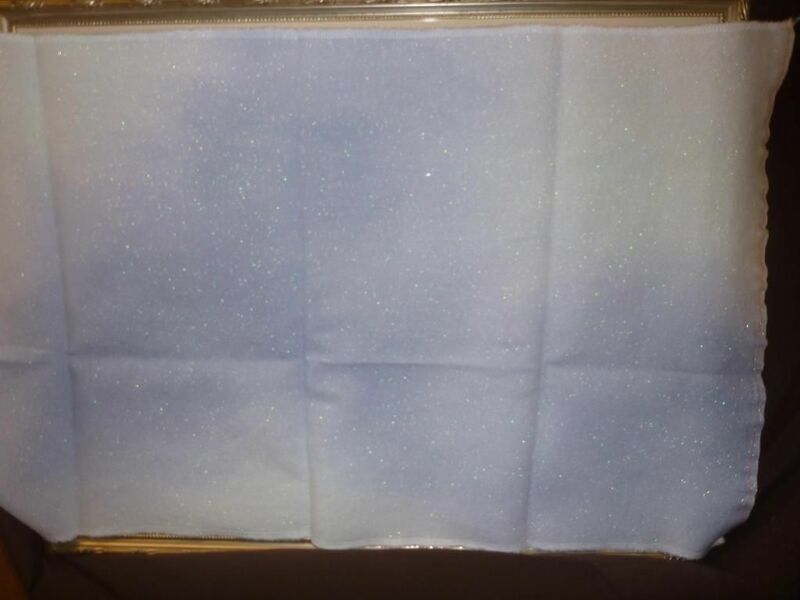 I also received my Fabric of the Month from Colours of the Outback. Because of Hurricane Sandy her order of 32ct Lugana was delayed so instead of waiting she offered me 32ct opal instead without charging me extra. I love this piece. It's called Purple Army. I also realised I forgot to show you last months fabric. It's called Great Australian Bite. I also bought some magazines this week. 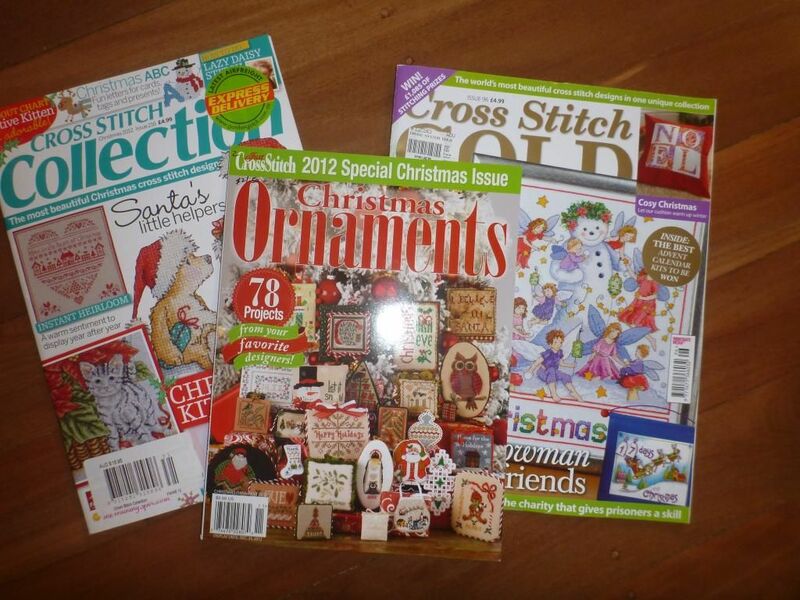 I finally found a newsagent that had the Christmas ornament magazine. There are some awesome designs in there. I know Christmas is only about 6 weeks away but it sure doesn't feel like it yet! Beautiful framing on this stunning sampler, congrats. wow such a lovely frame and it is looking so cute in frame..
your new stash is so lovely..
ia m still looking for christmas ornament issue here but cant find.. 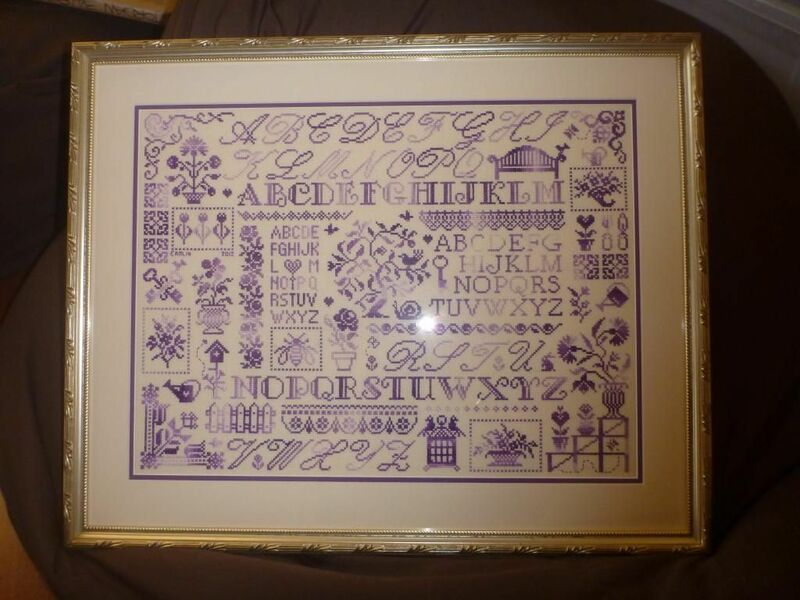 The Sampler is so beautiful and the frame is perfect. Congrats on your finish. The frame is perfect! Wow, that looks fantastic! It's always a good feeling to see your finished piece so beautifully framed. Nice stash, looks like you'll be busy! Your sampler looks gorgeous in the frame! The purple mat is a perfect match. Your new fabric is fabulous! 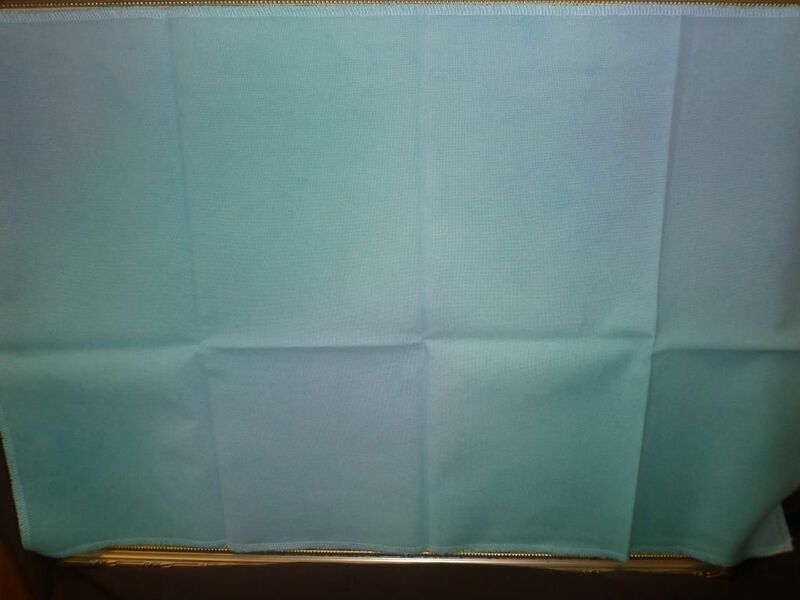 Can't wait to see what you stitch on it. A superb finish to be very proud of. Congratulations. Love the Jardin Prive - the purples look stunning. Gorgeous Sampler & framing choice!! YOur fabrics are lovely! 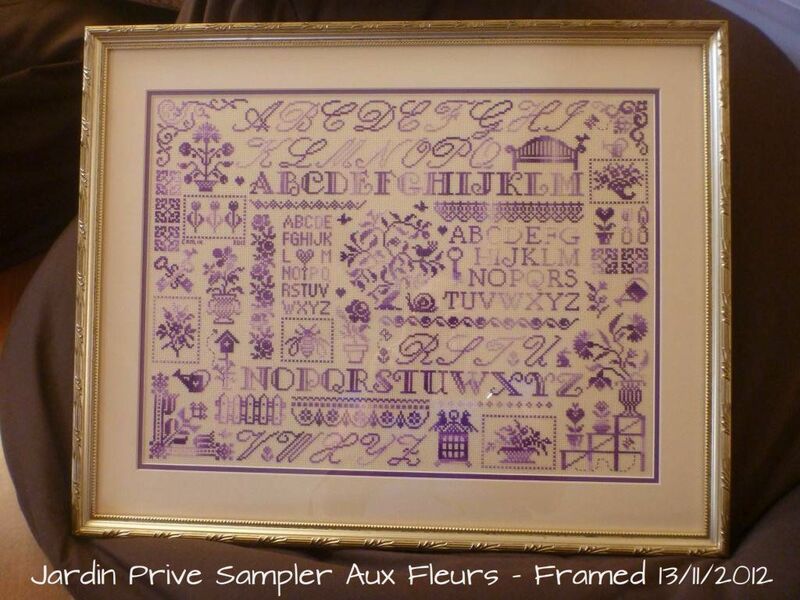 The sampler is gorgeous and your frame choice is perfect. I really like the purple fabric. That's a perfect frame for your sampler, nice and understated so all the attention is on the needlework.